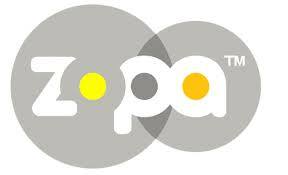 Zopa is the oldest p2p lending community on the web and currently the largest operating in Europe. It started its activities in 2005 and since then it has dramatically increased the money lent per year ( in 2013 £195 million were lent). The idea behind Zopa is extremely simple, a platform in which people can lend and borrow a certain amount of money. The reason behind its success lies in the way in which it differentiates from traditional competitors -banks- and several similar websites. Essentially, Zopa can offer something better than traditional banks since it provides faster evaluation of creditors and this results in an overall faster process. Creditors can actually start a loan process from mobile and the amount of time requested is far lower than what traditional banks ask to a possible borrower .On the other hand, Zopa can offer something better to people willing to borrow money – for a period of 3 or 5 years- than traditional banks since it offers interests that no traditional bank can match (currently Zopa provides to investors a 5.3% interest pre-tax) . However, Zopa also has to compete with several other companies offering similar services on the internet. On this matter the power of Zopa has been its reliability, in fact using its own algorithm system it has had until now a very low default rate of creditors – 0.7% – and the policy of the website establishes that the amount of money each investor decides to invest it is always split in amount of £10 or 20 so that the risk is differentiated among the creditors. Moreover Zopa created a Safeguard fund able to refund every investor in the unlikely event of a borrower unable to pay, this fund represents 1.5 % of the total amount lent on the website in a year. This is not usually the case for other companies that either propose to borrowers incredible high interests – Wonga is the best example even though incredibly successful – or they can’t provide the level of trust of Zopa because of their default rates and because of the lack of safeguard funds. P2P lending represents nowadays a very particular kind of crowdfunding and for the opportunities in terms of flexibility, reliability and return websites such as Zopa may redefine the way in which a well-established sector has been working following the same rules for centuries. Berger, S., & Gleisner, F. (2009). Emergence of financial intermediaries in electronic markets: The case of online P2P lending. BuR Business Research Journal, 2(1). Lee, E., & Lee, B. (2012). Herding behavior in online P2P lending: An empirical investigation. Electronic Commerce Research and Applications, 11(5), 495-503.